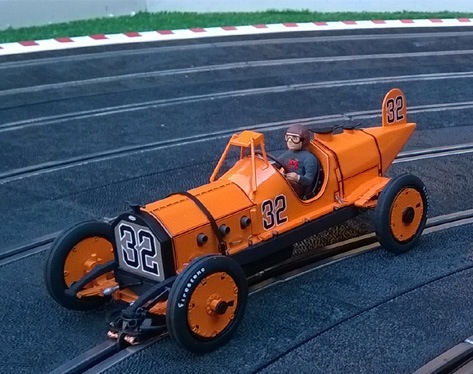 The Indianapolis 500 celebrated the 100th running in 2016, so, Ostorero Models commemorated the event with 1/32 scale ready to racer replicas of the car that won the first-ever Indy 500 in 1911, the Marmon "Wasp". Ray Harroun was the project engineer and also the driver. Enthusiasts are used to see this car in the yellow livery but, during Ostorero's research, they found that the original car was painted orange. So Ostorero has reproduced both versions. The Marmon has the usual accurately-detailed handmade cast-resin body, SLS chassis, several photo-etched parts and aluminum wheels, in a limited and numbered edition of 150 units.